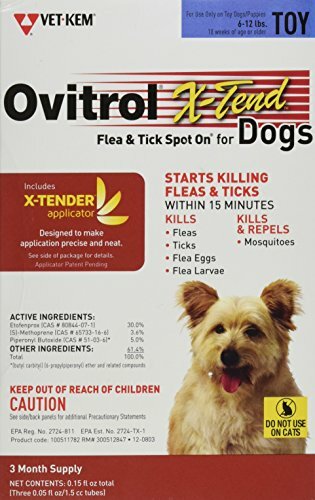 Ovitrol Plus flea and tick shampoo for dogs and cats is a concentrated lathering shampoo enriched with oatmeal, coconut extract, lanolin and aloe. It leaves the coat soft, shining and manageable. The shampoo removes loose dandruff, dirt and scales. 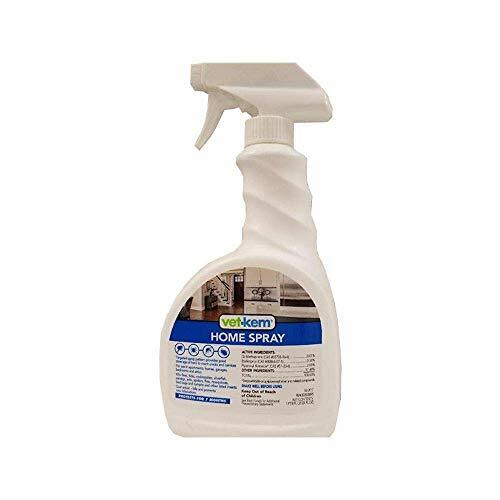 The precor insect growth regulator provides up to 28 days of control of pre-adult fleas before they become biting adults. 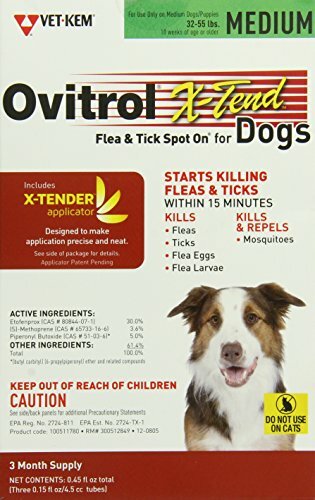 Kills adult fleas, ticks and lice on contact. 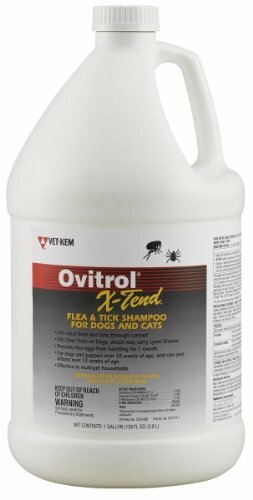 Ovitrol X-Tend Flea & Tick Shampoo 12 oz. 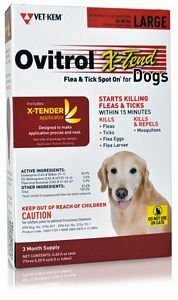 Ovitrol X-Tend Flea & Tick Spray 16 oz. Kills adult fleas & ticks through contact and kills deer ticks on dogs with a rich, creamy formula that cleans, deodorizes and conditions. Contains Etofenprox and (S)-Methoprene, an IGR proven to break the flea life cycle. 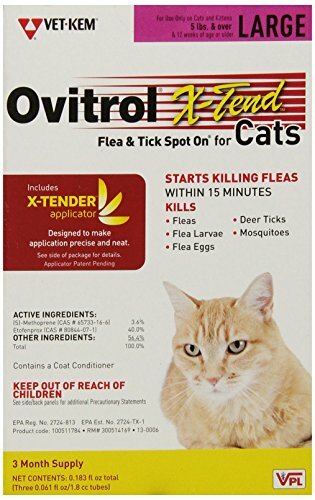 Vet-Kem Ovitrol X-Tend Flea & Tick Spot On For Cats starts killing fleas within 15 minutes. 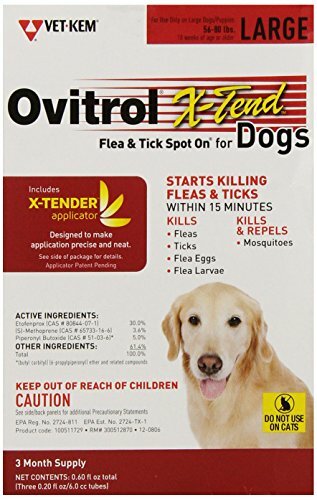 Ovitrol X-Tend Spot On is fast and effective in killing deer ticks, fleas, flea eggs, flea larvae and mosquitoes. Provides month-long protection. 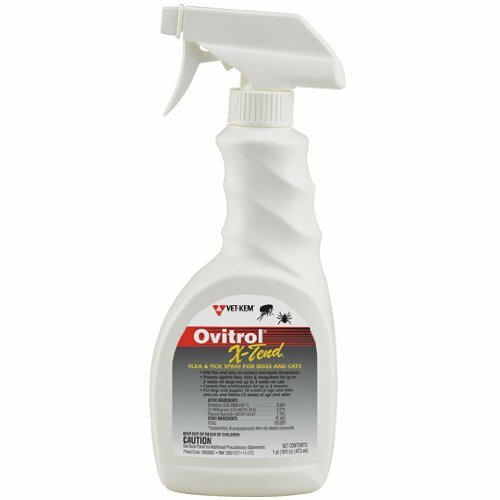 Ovitrol X-tend has an applicator specially designed to make applying flea and tick control easier and more precise than ever before. Simply insert the appropriate tube into the applicator, close it and squeeze to apply. It is water resistant and provides protection for up to 30 days. 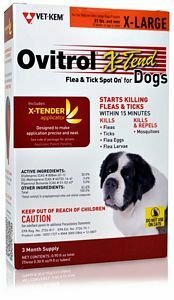 Starts killing fleas and ticks within 15 minutes. Kills fleas, ticks, flea eggs and flea larvae, it also kills and repels mosquitoes. 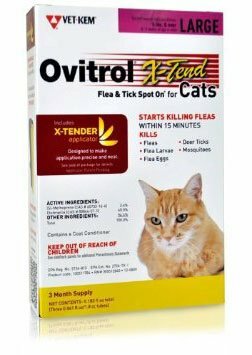 Ovitrol X-Tend Flea and Tick Spot On for Cats is the affordable veterinary flea and tick protection for cats and kittens 12 weeks of age or older. Starts killing fast and breaks the flea lifecycle for full protection. 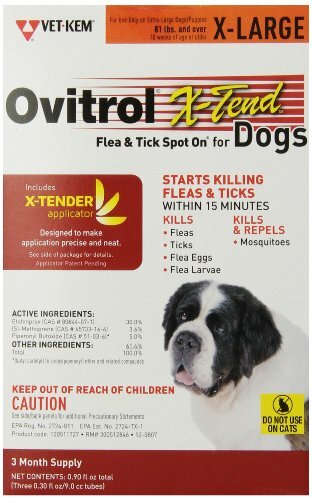 XLarge Dog[81lbs and over] 3 month -- Ovitrol Spot On X-Tender Applicator is specially designed to make applying flea and tick control easier and more precise than ever before. You simply insert the appropriate tube for your dog/puppy into the applicator, close it and squeeze to apply. The applicator's ergonomic, contoured shape makes it easy to grip and the built-in tip helps to spread the dog's/puppy's hair to allow the liquid to more readily reach the skin. The tube is sealed inside, so you can be confident that the liquid goes onto your dog/puppy and not your hand. 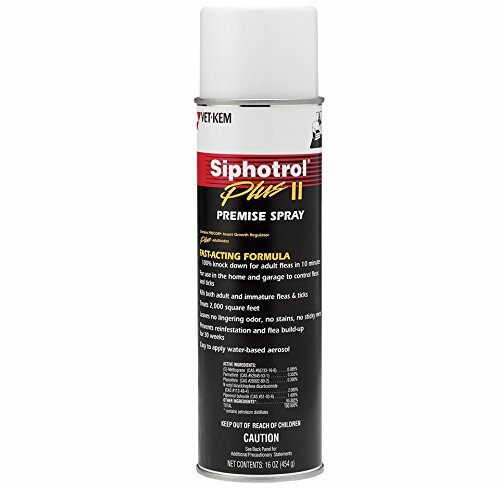 Plus, if the applicator is laid down on a table, counter or other flat surface, it won't run out or drip. 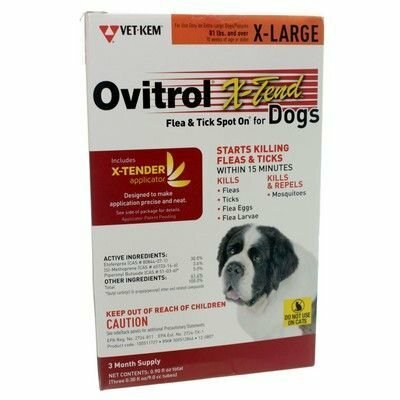 Vet-Kem Ovitrol X-Tend Flea & Tick Spot On for Dogs provides flea and tick protection for dogs/puppies for up to 30 days. This product is water resistant and remains efficacious following exposure to rainfall or swimming. 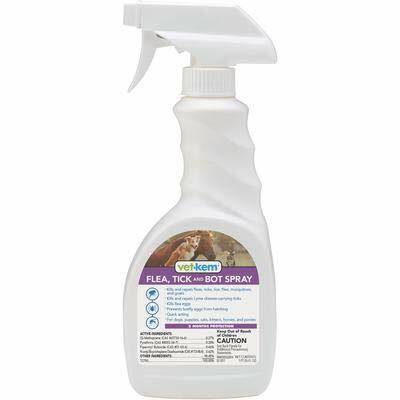 This product is most effective when used as part of a total flea and tick management program. Use other Vet-Kem products registered for residential area control of these pests in conjunction with this treatment. Monthly treatments are required for optimal control and prevention of fleas.